Thumb Tacks. Push Pins. 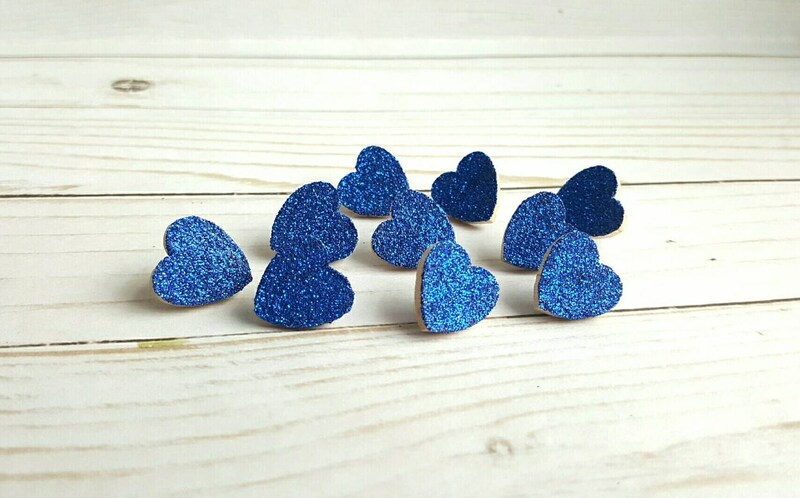 Glitter Hearts. Royal Blue. Memo Board Pins. Office Accessories. Heart Tacks. Dorm Room Decor. Office Supplies. 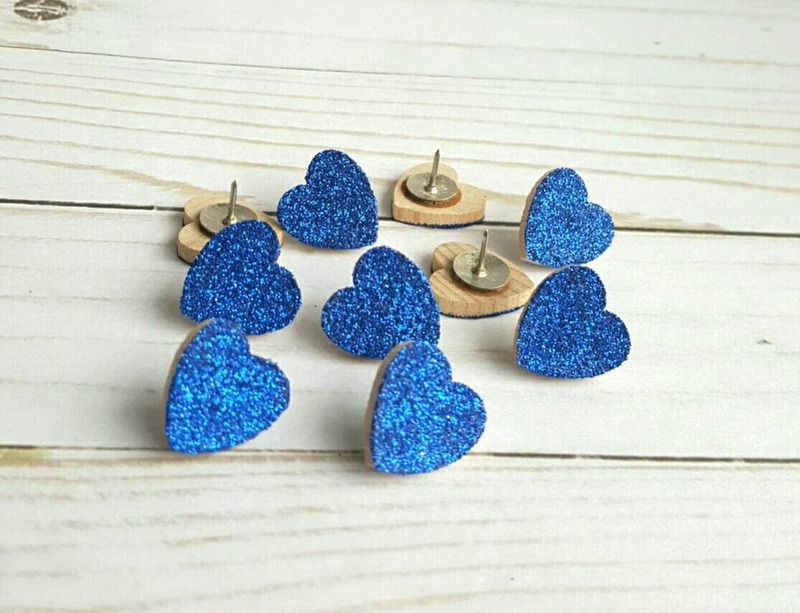 A set of ten (10) royal blue glitter wooden heart shaped thumb tacks/push pins. 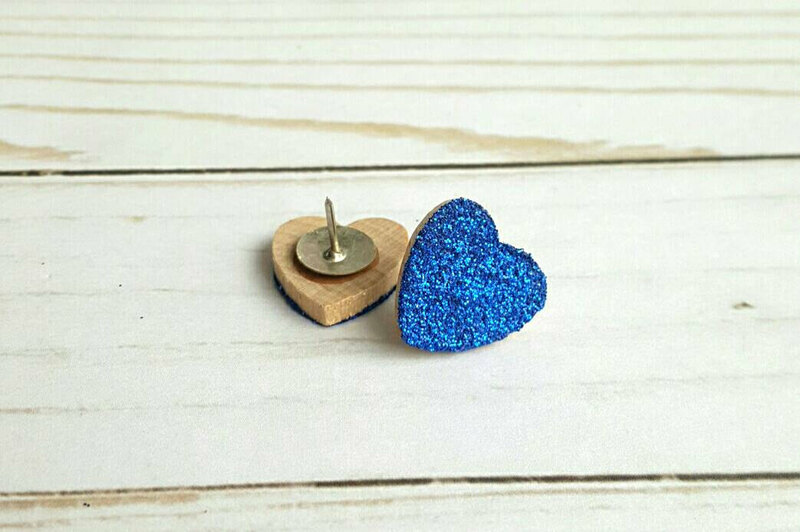 The hearts measure 3/4" and have been securely attached to a thumb tack. The glitter has been sealed to prevent the glitter from shedding.